Our Service Department is dedicated to bringing you state-of-the-art automotive repair and maintenance and we provide a guarantee on all our work. Our Auto Body & Collision Shop is equipped to handle all repairs from small dents to severely damaged vehicles requiring repair or replacement of major body sections. With a full fleet of tow trucks available, our Towing Department is able to handle from the most delicate antique or special interest cars to a large tractor trailer or dump truck. We are a Licenced Inspection Station for D.O.T. inspections, enhanced emissions and safety testing. NO APPOINTMENT NEEDED for stickers. We can handle cars, trucks, motor homes, buses, fire engines as well as diesel vehicles. 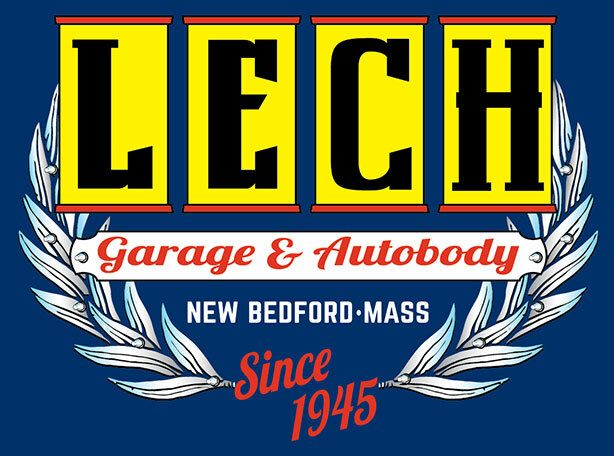 Everyone at Lech Garage & Auto Body will make every effort to meet and exceed your needs. That’s why we have 24-hour telephone coverage by one of the principles of our business. In an emergency call 508.993.7661. We’ll do everything we can to assist you. Our goal is to exceed our customers’ expectations in terms of value, service and product. We feel quality is not a one time thing, it’s an all time thing. On every job, for every customer on every vehicle. At Lech Garage & Auto Body everyone is committed to 100% quality repair. We’ll make a concerted effort to ensure that nothing is overlooked and that every procedure is performed as it should.